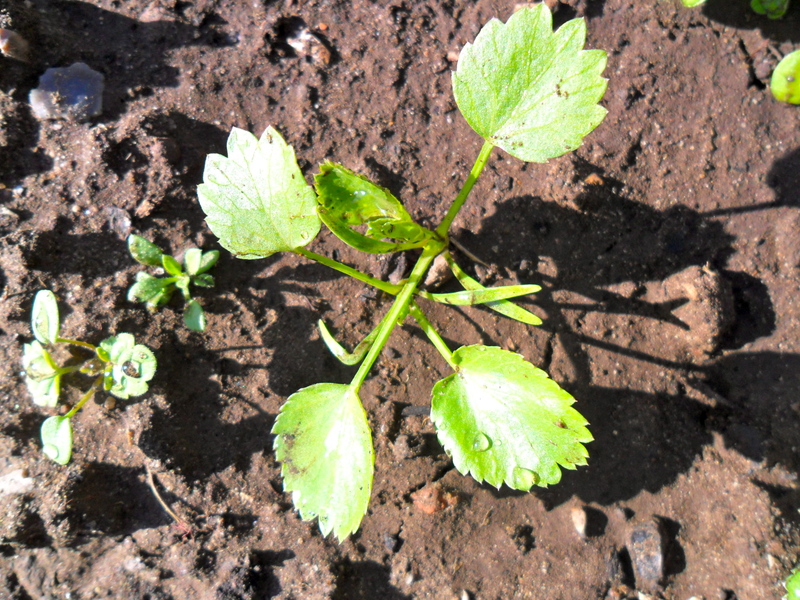 More Thrilling Seedling Action…Hang On To Your Seats Folks. At last the Ammi Majus has turned up. I can weed around the seedlings and all will be well with the world. The weeds in the garden have been out competing the flower seedlings and I was beginning to wish I had grown them in pots. Malope Trifida ‘Vulcan’	Edible Flowers. Borage. The lack of rain is definitely becoming a problem. The water butts ran dry weeks ago so now we’re using the hose, but that only reaches so far. For all of the raised beds watering cans are required; my arms will be dragging along the ground by Autumn if things carry on this way! Yeah…I’m begining to look like an orangutan too….